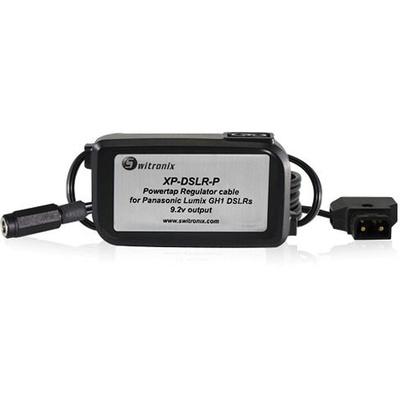 Product #2280 | SKU XP-Magic-12 | 0.0 (no ratings yet) Thanks for your rating! The Switronix Powertap BlackMagic Converter Cable (24") comes with a regulated 12V connector jack to power the Black Magic Mini Converter with an inline female P-Tap connector for 12VDC, and features both red and green LED indicators to display battery power status. It can be used with a Switronix accessory or individually with a PRO-X series Lithium Ion battery, and is housed in an enclosure.